Published in Practical Law The Journal, April/May 2016. The vast array of technology-assisted review (TAR) tools available in the marketplace, along with their associated jargon, can seem daunting to counsel. But using TAR in litigation and regulatory matters need not be. 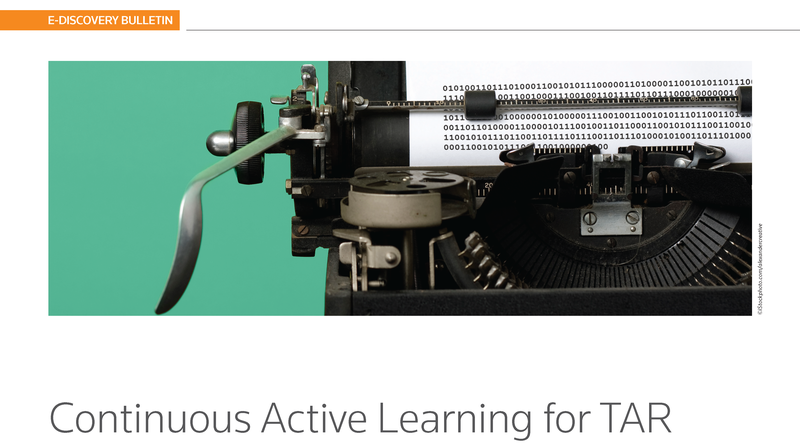 By implementing a continuous active learning (CAL) protocol, with a TAR tool that uses a state-of-the-art machine-learning algorithm, responding parties can quickly and easily identify substantially all of the relevant documents in a collection and minimize the potential for disputes with requesting parties.